Women Owned Law is a global network of women owned law and legal services firms. We provide a forum for women legal entrepreneurs, their clients and prospective clients, referral sources and strategic partners to come together, support each other and enhance each other’s businesses. We create opportunities for women owned law and legal services firms of all stages to access education, programming and other resources to start, build and grow successful business enterprises. We are dedicated to increasing the influence of and raising awareness about women entrepreneurs in the legal ecosystem. Additional information about our organization can be found here. Promote Awareness and Increase Influence - Raise the profile and increase the visibility of Women Owned Law, its members and other women owned law and legal services firms to improve client access to the full spectrum of women owned law and legal services firms and to increase access to new business opportunities for such firms. Engage in advocacy that supports the goals of WOL member firms and entrepreneurs. Provide Opportunities - Provide opportunities for early stage, growing, and established women owned law and legal services firms to access education, programming and other resources needed to start, build and grow successful business enterprises. Owners of a woman-owned legal services firm whose business do not include the practice of law. Owners of a woman-owned firm whose business supports WOL’s mission. Additional information about membership can be found here. Over 90 individual, firm, and corporate sponsors of Women Owned Law have generously devoted time, energy, and funds to our success. A listing of our Founding Sponsors may be found here. Additionally our Founders Circle Sponsors can be found here. We are a 501(c)(6) organization, with a Board of Directors, an Advisory Board and various organization wide and regional committees. A list of our Board of Directors and Advisory Board members can be found here. Our global headquarters is located in Philadelphia. We conduct activities and operations nationally through our Regional Steering Committees and Regional Representatives. Women Owned Law currently has a presence in in Philadelphia, New York City, Buffalo, Albany, Southern New Jersey, Washington, D.C., Chicago, Boston, Bay Area, Indianapolis, Dallas, Houston, Austin, Tampa, Orlando, Miami, Louisville and Pittsburgh. Additional regions will be added based on interest. A list of Regional Steering Committees and their chairs along with Regional Representatives can be found here. WOL offers a variety of local networking opportunities and programming for our members, sponsors, and guests. In addition, we introduced national programming with a monthly speaker series presented by teleconference. A listing of upcoming events can be found here. Additional information about membership benefits can be found here. 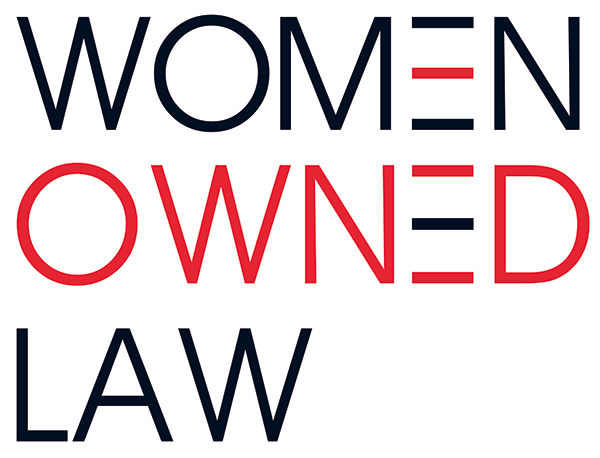 Join Women Owned Law as a Member or a Sponsor! Since its founding in 2017, WOL is growing steadily, across the country with up to 200 full members, many of whom are Founders Circle Sponsors. Our goal is to reach 350 members by the end of 2018. Once you’ve become a member, join a WOL organization-wide committee and/or become involved with local WOL activities! (All committee members must be WOL members.) We welcome new committee members as we continue to grow. Our nationwide committees include Communications, Membership, and Sponsorship, along with our Diversity and Inclusion Task Force. Once our strategic planning is complete, we will also add members to our organizational Activities Committee. Contact us for more information. Volunteer to author a blog on a topic of expertise. Volunteer to host a webinar for our membership. Share your WOL membership experience with others in your network and region. Spread the word! Introduce others to Women Owned Law, including in other regions such as Los Angeles and Phoenix. Share information about upcoming events and invite colleagues to any events open to non-members. Like us on Facebook and Twitter, and connect to us on LinkedIn. Share information about us on your social media. The more broad and active our network, the more powerful Women Owned Law will be and the better able to achieve our goals and serve our members.